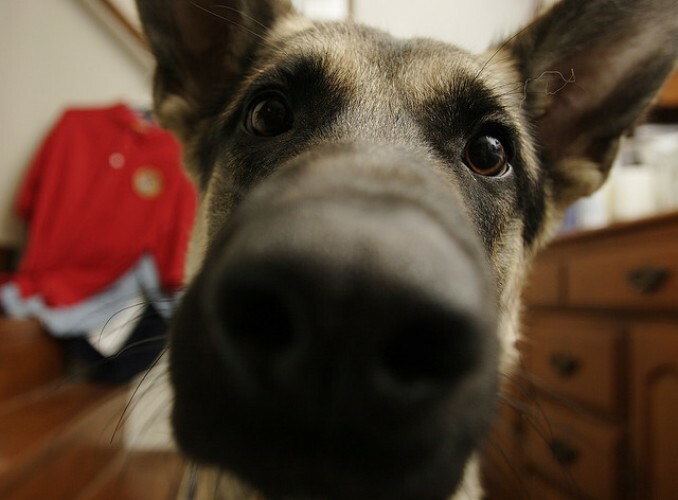 Caring for Your Dog's Nose | Woof Report | The best email newsletter for dog lovers. While the nose is the canine equivalent of a fingerprint and largely how dogs experience their world, there’s more to it. Read on for tips to care for your dog’s nose. We know what you’re thinking. Nose care? What could I possibly need to do for my dog’s nose? Well, aside from the fact that it’s arguably the cutest feature on a pup, it’s also one of his most important ones too. Not only is his nose the canine equivalent of a fingerprint (note to pups considering a life of crime), it’s the first way dogs experience their world. From their very first puppy days, smell comes before their sight or hearing. Contrary to popular belief, a dry dog nose isn’t necessarily a cause for concern. But it’s smart to talk to your vet if you notice changes in texture such as a crusty or flaky skin, loss of color, sores or scabs of any kind. Pups don’t get colds like people do. So if your dog has a runny nose, it’s most likely an illness, allergy or even something stuck in his nasal passage. It’s definitely time for a trip to the vet. Occasional snorts and sneezes are normal for dogs, in fact – some dogs sneeze from excitement or nervousness that stimulates the nerves in the nasal passages. But if he’s at it a lot, it’s best to get him to the vet. It’s not too hard for an industrious pup to get a foreign body lodged in his nose. But getting it out is not a job for you since the skin on his sweet nose is super sensitive and likely to bleed heavily with the slightest nick. Dogs, especially light-skinned ones, are at risk for sunburn and skin cancer just like us. That’s why it’s recommended to layer his little nose with doggie SPF before a sunny day outdoors. 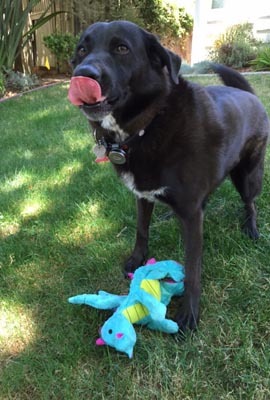 Read more about doggie sunscreen in our past tip. Believe it or not, the food and water bowls your dog eats and drinks from may affect the color of his nose. Plastic bowls can react with the skin, causing a color change. For this reason, and because they’re less likely to harbor bacteria, it’s highly recommended that you serve your dog’s food and water in stainless steel, glass or ceramic bowls. 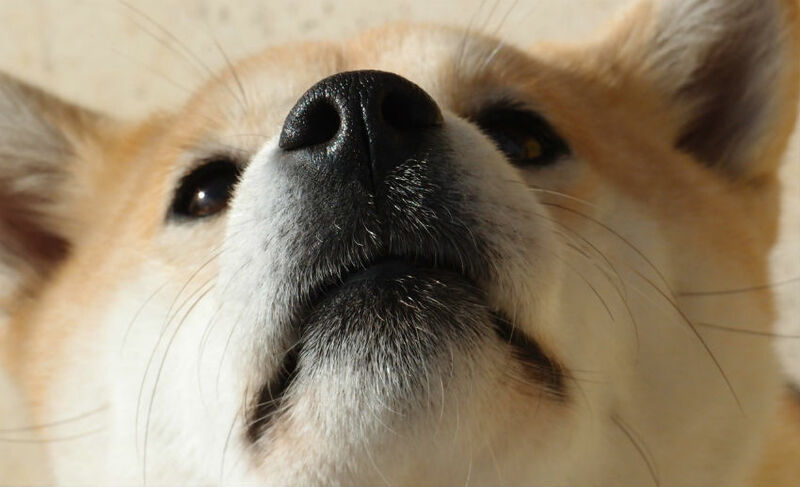 On the topic of dog noses, read about dogs’ incredible sense of smell form NOVA Science NOW. Originally published January 2011; reviewed and updated August 2017.